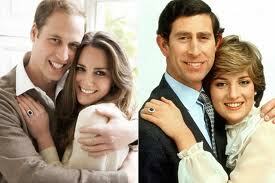 I have always been a huge royal family fan, since 1981 when Lady Di and Prince Charles got married. A year ago, I got up at 4am (Ok – who am I kidding? I was 8 months pregnant – I was already awake at 4am) to watch the next generation of royal wedding mania begin. 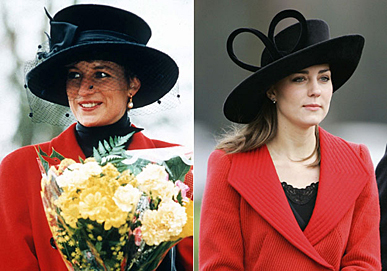 In honor of the first anniversary of Wills and Kate, I have chosen my favorite Kate styles from the past year. Welcome to America and the red carpet. Alexander McQueen chiffon gown, earrings lent by Queen Elizabeth II. Visiting Royal Marsden Hospital. Amanda Wakeley dress, Kiki McDonough earrings and L.K. Bennett purse and shoes. U.K. Consulate-General’s welcome reception in Los Angeles. Diane Von Furstenberg dress. Canada Day. Reiss dress, Anya Marchand fan clutch and a maple leaf fascinator. An unscheduled part of their trip to Canada – a northern Alberta town destroyed by wildfires. J Brand jeans, Smythe jacket, blouse and black wedge espadrilles. 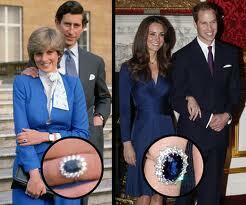 There is always a ton of press about Kate, what she is wearing, and is she imitating Princess Diana. She has had her moments when her outfits could be considered a modern version of some of her late mother-in-law’s ensembles. Of course the engagement announcement outfits were constantly compared – but seriously? Blue makes that ring really look great! And the official engagement photos were very similar. I am a fan of Kate’s – they aren’t easy shoes to fill (just ask Camilla.) Here’s hoping this future King and Queen get to actually be King and Queen and have a happily ever after. Happy 1st Anniversary Kate and Wills! What do you think about this royal couple? Kate’s style? 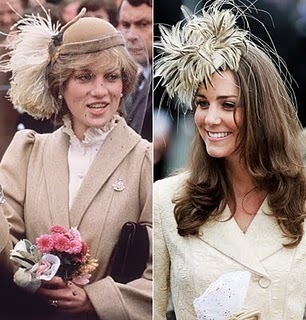 In comparison to Diana? Did you watch the wedding last year? Leave a comment and let me know.